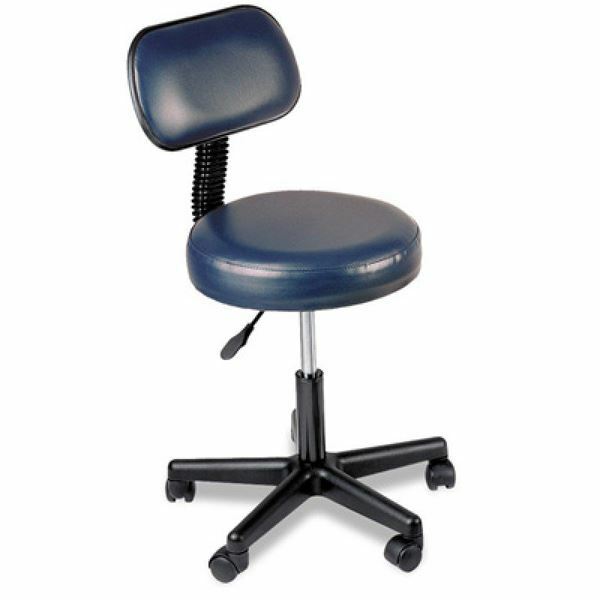 Pneumatic stool with back. Supports up to 158kg. Swivel seat. Gas spring mechanism for raising and lowering of stool: 45.7cm - 55.8cm. Requires some assembly.